Roughing generates the same tool path like the ISO G71/G72, but it is output in the expanded mode. 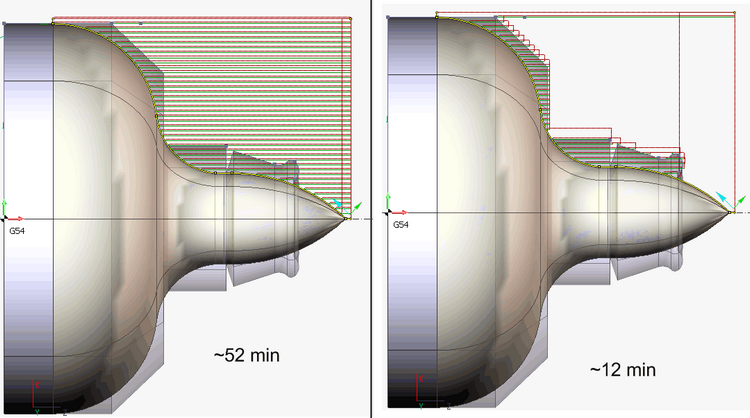 Checking the current state of workpiece can reduce machining time. In the picture is represented the item. Machining takes approximately 52 minutes. The use of algorithms based on the current state of workpiece will reduce the processing time of this part by 80%, excluding the tool passes through the air at the working feed. 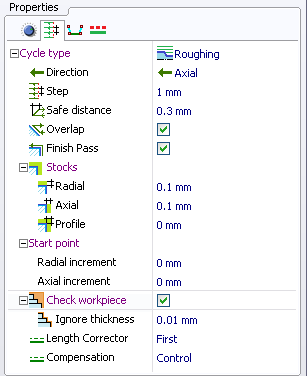 The workpiece checking parameters can be defined in the properties window..